You can get the latest version of Listary here. It’s highly recommended that you use the installer version instead of the portable version. It’s much easier to update. After installation, you will be prompted to go through a quick tour. It’s recommended for new Listary users. You can access it later via the tray icon. You can type directly (without having to press a hotkey!) 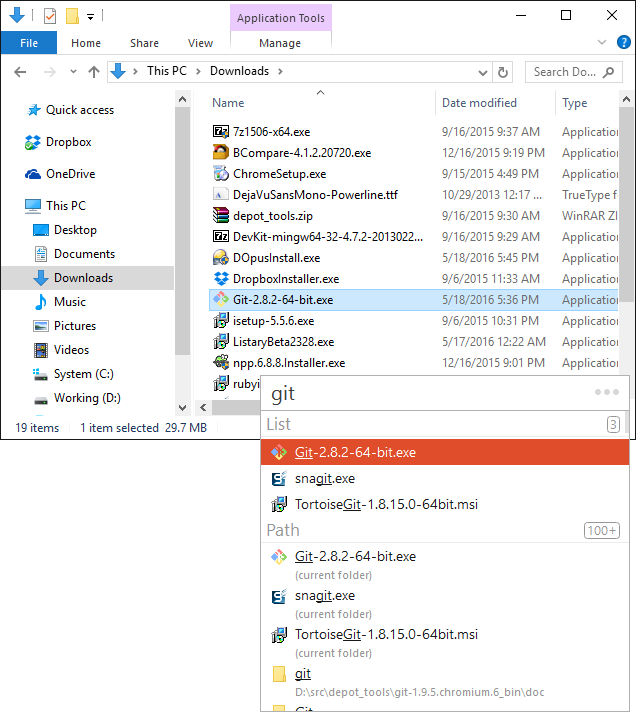 in Windows Explorer to search using Listary. Listary uses Google-like keyword search. To search for multiple keywords, separate them with spaces. For example, if you want to search for ListaryDemoVideo.mp4, you can type listary demo, demo listary or listary video. Check this page for advanced search syntax. You can press Ctrl twice anytime to activate Listary to search all your apps and files. When your search query doesn’t contain spaces, Listary lists apps first. If you want to search for only files, simply add a space anywhere in your search query. You may have noticed that Listary has 2 modes. When you activate it using find-as-you-type, it pops up at the bottom right corner of Explorer. This is the file manager mode. When you activate Listary using the Ctrl X 2 hotkey, it pops up in the middle of the screen. This is the launcher mode. File manager mode: This mode focuses on file searching. 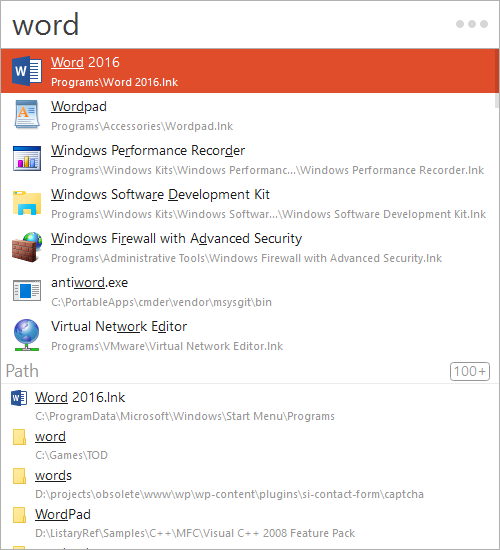 Listary search bar is shown within the current file manager window (e.g. Explorer). Folders are opened in the current file manager window. Features like app launching, web searching are disabled. Launcher mode: All features are available in this mode. Listary search bar is shown in the middle of the screen. Folders are opened in new file manager windows. Type directly in Explorer: Activate Listary to search. Press Ctrl twice: Manually activate Listary when you need it anytime. Esc: Hide Listary search bar / Exit Actions. Down arrow or Ctrl + N: Select next item. Up arrow or Ctrl + P: Select previous item. Right arrow or Ctrl + O: Enter Actions menu for the selected search result. Check this page for the full list of hotkeys. Type gg php tutorial to search for php tutorial using Google. Open Listary Options – Keywords – Web to check supported search engines or add your own. This feature only works in launcher mode. Listary is mainly designed to be used with the keyboard, but it’s also very convenient to work with it using the mouse. 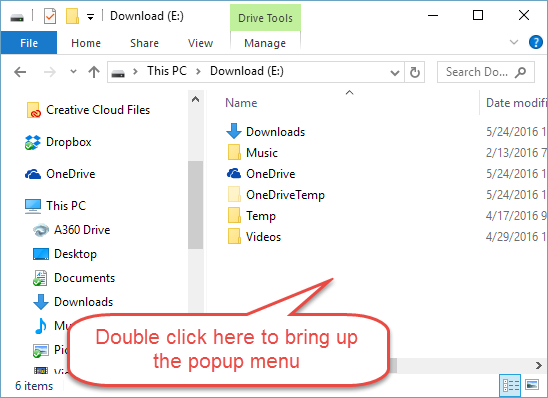 You can double click on empty area in Explorer or desktop to bring up the Listary popup menu.